A boutique hotel offering modern accommodation in Western comfort with stylish Asian touch, consist of 18 hotel rooms, 2 unit One Bedroom and 5 unit Two Bedroom Apartments. The modern rooms in 2 and 3 storey building is set around two fabulously linked swimming pools features balcony or verandah. The apartment has lounge and kitchenette with microwave, toaster, cutlery, crockery and refrigerator. Each apartment has different design interior. The Courtyard Bali is a great place to stay and perfect. You will feel very much at home and the staff will treat you like a part of the family. 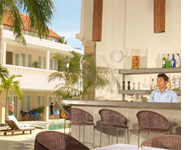 Courtyard Hotel & Apartments Legian, Kuta, Bali feature restaurant and bar, room service, swimming pool broadband internet wireless, laundry and massage service. 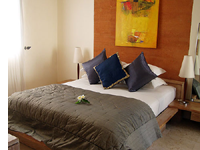 The amenities in the rooms are appropriate and well maintained. The hotel & apartments have television, telephone, minibar, safety box, air conditioning, DVD player, hair dryer, coffee and tea making facility, mineral water, bath or shower with hot and cold water. Microwave, toaster, cutlery, crockery are available in the apartments. Hot Mango Restaurant is the very popular Bali restaurant open from 7.00 to midnight, feature Asian specialties and International cuisine. 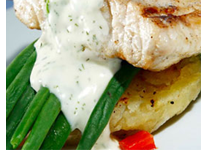 It is complimented by a comfortable cocktail bar serving imported wines and spirits as well as local beers. Individual catering requests are welcome. A friendly staff will offer personalized services to all guests. The most relaxed dining experience at Hot Mango Bali Restaurant, makes it better than others. more Check in time is 2 p.m.